Britain’s pubcaster, the BBC, is to launch a standalone children’s version of popular on-demand service BBC iPlayer. The new service, iPlay, will create a “single front-door” for children to access BBC programming and related digital content. This will allow kids to access content “that matures with them, across more platforms, in a safe and trusted way”, according to new proposals revealed today. 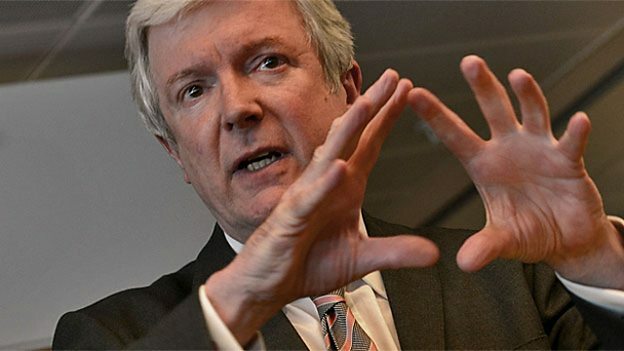 They came as part of wide-ranging plans from BBC director general Tony Hall (pictured) that also includes opening up the main BBC iPlayer to allow content from rival content creators as part of plans to update the organisation and cut 20% of costs through savings. “The BBC must modernise to preserve and enhance what is best about public service broadcasting to ensure we continue to have a BBC that is British, bold and creative,” said Hall. The BBC believes the proposed changes would “not create a bigger BBC, but will create a better, more distinctive one”. The BBC’s linear children’s channels, CBeebies and CBBC, have been mooted as potential closures, along with arts- and culture-focused BBC Four, but it is not thought this is a preferred option with the Corporation. Young adult-skewed BBC Three will close in January with the BBC forced to foot a £600 million (US$916.5 million) bill to fund licence fees for over-75s. iPlay would, however, allow children to experience BBC programming as they grow older, compared with the current preschool- and older child-focused models of CBeebies and CBBC, respectively. Along with curated programming, it would likely include podcast, blog and educational elements to provide a fuller experience. The BBC is by far the biggest creator of original kids TV content, with its output (for example Danger Mouse, pictured above) far surpassing the combined efforts of its broadcast and satellite rivals. Hall is expected to announce fuller plans for the proposed BBC Studios division, which would effectively commercialise BBC production, later this month.